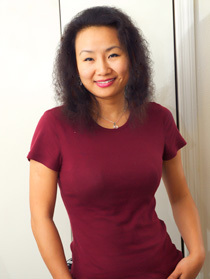 Min has been a Florida Licensed Massage Therapist for a decade. She is trained in Swedish massage, Deep Tissue, Ashiatsu, Sports Massage, Bar Therapy, Reflexology, Facial Massage and Scalp Massage. Min operates Relative Healing in Ormond Beach, Florida as well as makes outcalls in Daytona, Ponce Inlet, and Port Orange. Min is also a certified cosmetologist and speaks Chinese.